Homeschool: What Does Child Led Learning Look Like? - The Co.
Homeschool: What Does Child Led Learning Look Like? But, What does child led learning look like? Does it mean your child runs the lessons and tells you just how school is going to go? Is it a chaotic day in which you devote every moment of your time to catering to your child’s needs and interests? Do you rush off to buy all the items your child might need for every passing whim they might have? Does it mean skipping math if your child is not interested? Not at all! Child led learning is a wonderful way to pursue your child’s current interests and to let that steer your teaching process. When you find you are more interested in a subject don’t you find it much easier to learn and to throw yourself wholeheartedly into? It’s the same with children, if it sparks their interest they will naturally want to dig deeper. Children are natural investigators, scientists, and dreams – they need very little encouragement to pursue a study in something they care about. 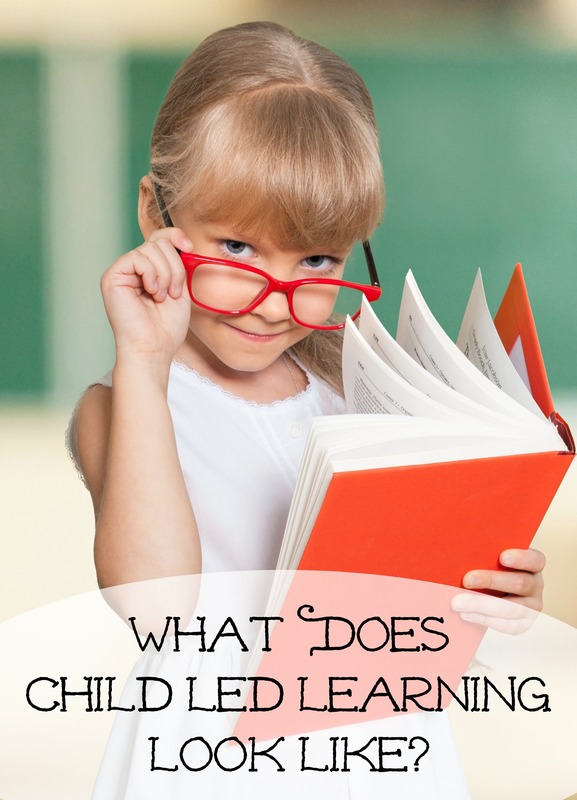 So, how do you do child led learning in your homeschool? Identify Their Interests – While some things may be obvious like a child that seems obsessed with construction vehicles others may not be as blatant. Does your child express an interest in koalas? They may enjoy studying them and then expanding to include an entire Australia study. Does your child enjoy sewing? Research when sewing machines were invented, consider investing in a used or inexpensive child sized machine and help them learn to make clothes for their dolls. Create an Inviting Environment – Whether you have a dedicated school room or you use the dining room and rest of the house it is simple to create an environment that supports child led learning. Fill their space with things that are inviting within your topic of study. Books, manipulatives, learning tools, maps, globes, nature items, magnifying glasses, etc. Even a dedicated shelf that changes with each study can help set the tone for the topic. I keep a basket of books in the living room and try to make sure at least half are related to whatever we are studying. So that ALL DAY becomes an open invitation to learning, not a set amount of school hours. Get Out And Do – Whenever possible schedule field trips so your child can experience their interest first hand. Construction sites, zoos, factories, state parks, sporting venues, the grocery store, you pick farms, and even your own backyard can all be exciting and informative. Hands on activities really help your child learn and retain more. If the thought of child led learning scares you then you can also combine classical learning and child led learning. Use traditional math and language arts and let your child’s interests steer things like science, history, geography, art, and music. This is an excerpt from the article Homeschool: What Does Child Led Learning Look Like? which originally appeared on http://sixtimemommy.com/.